There’s nothing like a warm sausage biscuit to start your day! It’s even better when it’s FREE! 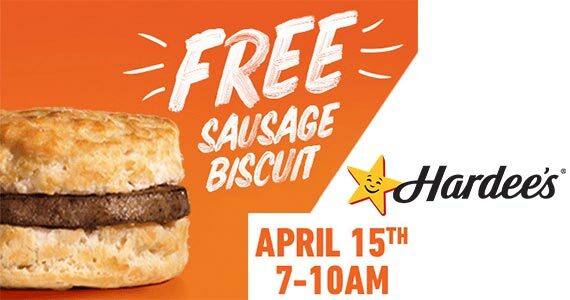 On April 15th from 7-10am you can head to your local Hardee’s and grab a free Sausage Biscuit breakfast sandwich. To claim this offer all you have to do is mention “Made from scratch!” while you order.